I am a Java developer well-versed in the Java programming language(which falls under category of what the school of thought calls an imperative language). Prior to that since the last few years I have been a MySQL developer well-versed in SQL (Structured Query language- what the school of thought calls a declarative programming language). I am currently ranked in the top 5 amongst a list of 77000 plus tutors nationwide so you can be assured of top quality. Nevertheless, I maintain a flexible schedule. My knowledge of Java has enabled me to have an excellent understanding of the Object-Oriented programming paradigm including concepts such as Abstraction, Polymorphism, Inheritance, Encapsulation, interfaces, constructors, setters and getters, etc. In addition I'm am very able to explain and tutor fundamental programming concepts such as control flow and decision-making, programming tools, debugging, data structures,differences in languages,File input-output,Regular Expressions, data types, Functions (or methods), operations and operators,etc. I am heavily experienced using the Eclipse IDE (integrated development environment)to code Java applications including graphical user interfaces so I can show students how to use Eclipse syntax helpers, code templates and even shortcuts as well as the code editor to easily write, test and fix(debug) source code to make their coding lives much easier than they may have imagined. -Providing high premium quality tutoring and training services for Computer Science and IT students. •	Designed a school library database for book, author and student information with appropriate constraints, indexes and intermediary tables in adherence to the First, Second and Third Normal Forms of Normalization. •	Trained under Gokulnath Venkataraman, the President of Logiware Inc, an IT logistics company that provides operational software and outsourcing solutions for international shipping including ocean shipments, exports, full container loads (FCL), air Shipments, imports and less-than Container Loads (LCL). Simplilearn's Certified Android App Developer course is designed to propel your career as a professional Android app developer. 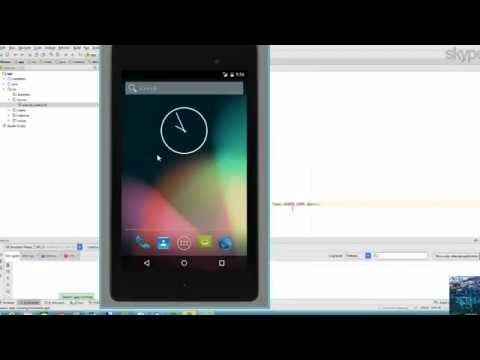 This course takes you through the basics and moves on to advanced concepts in Android app development. You will acquire the necessary skillsets and experience for professional Android application development by building four top-trending applications as projects during the course. Prove your code is working every step of the way using a formalized test-driven development (TDD) process. TDD can be done in every modern programming environment, and for desktop, mobile, or web apps. Discover how a database can benefit both you and your architecture, whatever the programming language, operating system, or application type you use. In this course, explore options that range from personal desktop databases to large-scale geographically distributed database servers and classic relational databases to modern document-oriented systems and data warehouses—and learn how to choose the best solution for you. The course also explores data modeling step by step through hands-on examples to design the best system for our data. Plus, learn to juggle the competing demands of storage, access, performance, and security—management tasks that are critical to your database's success. Java Advanced Training shows developers how to expand their programming skills and get more out of Java. This course offers platform- and framework-neutral tutorials that can be used to build web, mobile, and desktop applications. Starting with advanced methods of defining Java classes and programmatic flow, author David Gassner goes on to describe the Java Reflection API and the Collections Framework; management of files and directories; test-driven development with advanced exception handling and reporting; and how to work with multiple threads. This course demonstrates how to install both Java and the Eclipse IDE and dives into the particulars of programming. The course also explains the fundamentals of Java, from creating simple variables, assigning values, and declaring methods to working with strings, arrays, and subclasses; reading and writing to text files; and implementing object oriented programming concepts. Learn how to make and utilize pivot tables with Excel. Learn not just SQL the language of rdbms but also how to design well-structured database tables according to the rules of normalization.